LOVE the last photo. and its caption. 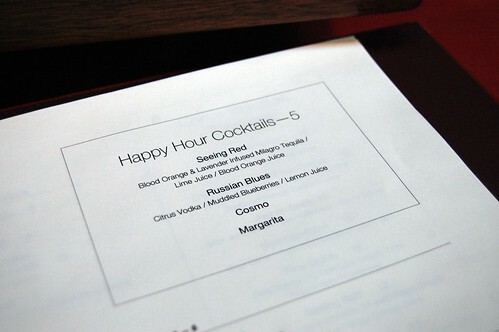 must go to chaya happy hour sometime soon. yum. I'm sad I missed it. Damn, those are some good prices! That drink looks so yummy! Jealous! 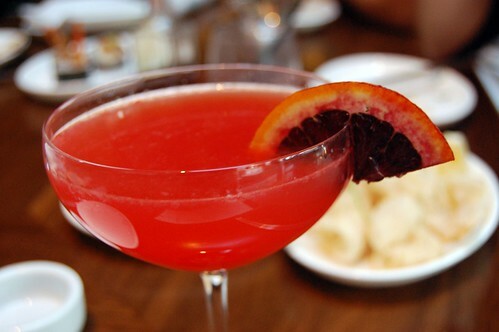 That blood orange drink looks amazing! Looks great! 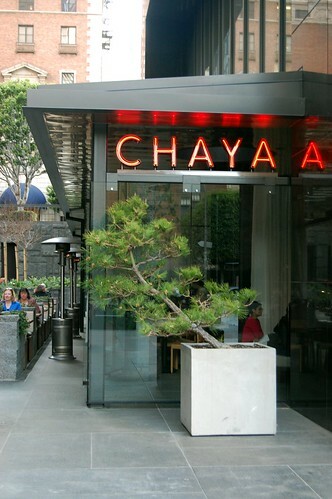 I always liked Chaya in Venice ... that's cool that they've opened downtown now too! I love, love, love the caption of the last photo. Wow so cheap for drinks and snacks! Thanks for the great rec! 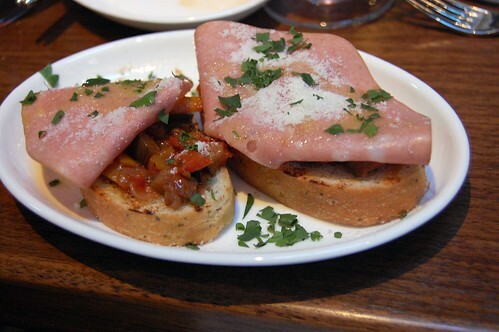 A few of my friends and I went there for happy hour on Monday and it was great - and so economical! 3 hrs free parking after 5:00 p.m. (as in my friend got there at 4:57 and would've had to have paid FULL PRICE except the guy gave her a break). I had the Seeing Red cocktail (ok, I actually had 3 or 4 Seeing Reds but whatevs) and everyone agreed it was great. Another friend had the Russian Blues, which she loved and I thought was ok. Others order off the wine list and were pleased by the quality and happy hour pricing. Thanks for suggesting this place!!! SUCH a great time! Thank you for coming out to play and for choosing such a nice spot to eat at. I felt so diversified. Went there for lunch a week or so ago, and it's soo good! Sad I could not join, but would love a rain check!! Wow, great prices, and the food pics look great too. Lizzie - it tasted amazing too. definitely on the list to try now that it's tried and approved by weezermonkey. 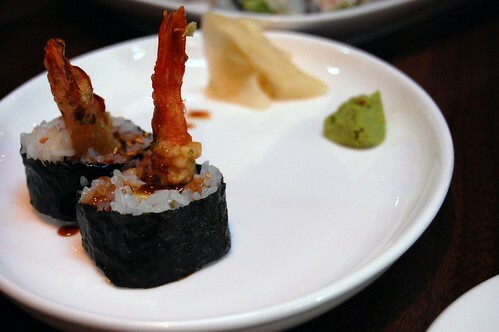 by the way, have you been to chin-ma-ya, that new restaurant in little tokyo (on same floor as curry house). their mapo tofu and ramen are actually pretty good. 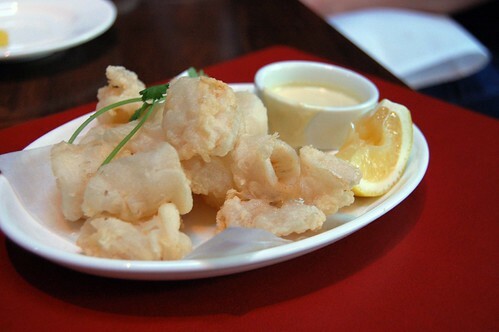 how is it that the food actually looks BETTER in your pictures than it was IRL? it was yummy, but those pictures more than do it justice. Looks like you ladies had so much fun! aww, looks like a ton of fun! ...and now I'm hungry! 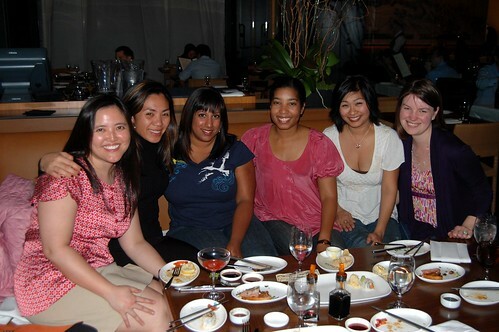 loved chaya in sf while i was in school up there. must head out to the local one for hh, apparently! 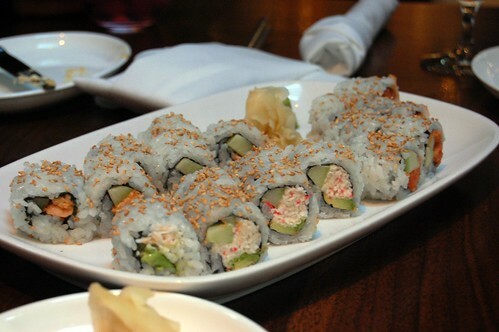 I like the sound of $4 rolls that actually look really good. And $5 cocktails? Holy handbags. I've walked by that spot a couple times when I went to downtown for work. Now I know I must stop in sometime.